Heroes, Heroines, and History: The Messiah's Pool with #Giveaway! 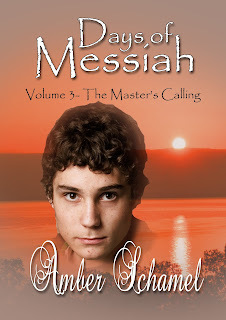 The Messiah's Pool with #Giveaway! "Go, wash in the pool of Siloam." When we read this command in John 9:7, we usually don't stop to think of the significance. But I think there is more to the story of the blind man's healing than meets the eye. Thanks to John's explanation, we know that Siloam is translated "sent." Because the Messiah is identified as "the Sent One", this pool was also recorded as being call The Messiah's Pool. The location of the Siloam pool was under debate for many years. According to the accounts left us by Josephus, it would appear that the pool was outside the city walls near where the Tyropoeon Valley terminates. However the Biblical accounts indicate that the pool was close to the temple, inside the walls. 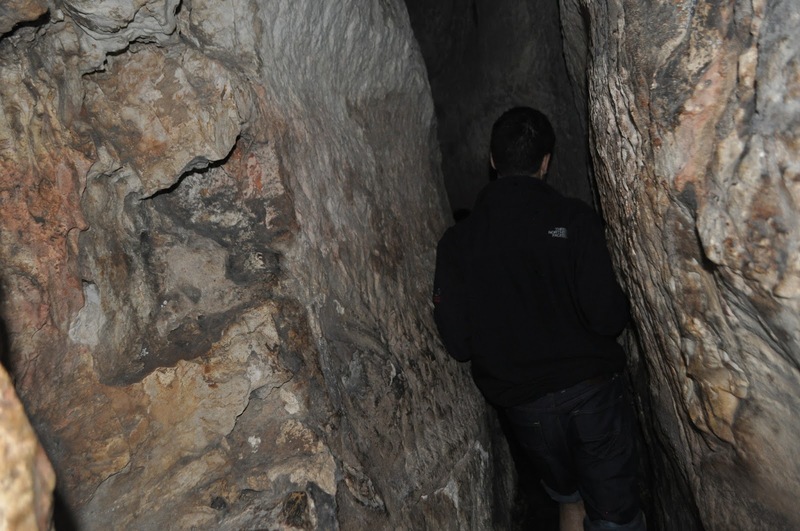 In 2004, the during a construction effort to repair a water pipe to the south of the Temple Mount, near the old City of David, a discovery was made. Two archeologist identified it as two steps. Further excavations revealed a pool hewn out of rock with steps leading down into its depths. The find was soon identified as the true Pool of Siloam. The Pool is fed by the waters of the Gihon spring, also known as the Virgin Spring, which is the only fresh water in the Jerusalem area. King Hezekiah built a tunnel in the early 7th century B.C. 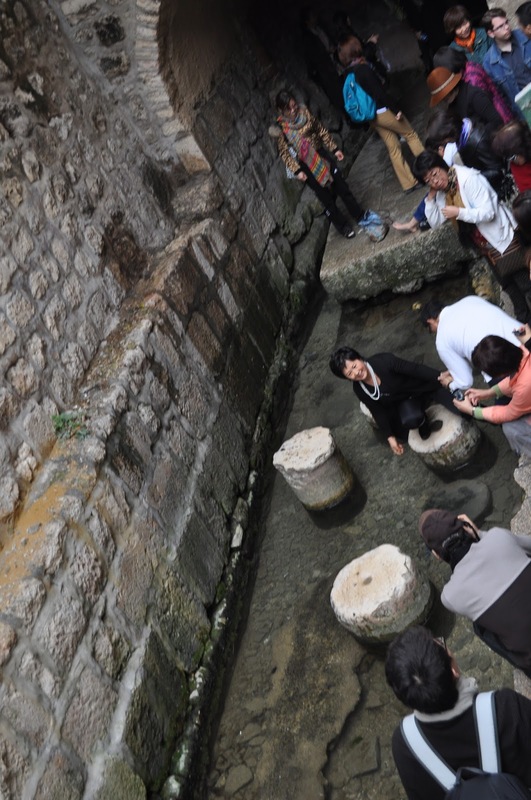 to channel water from the Gihon spring into the city so that the inhabitants could have water without leaving the city walls. The tunnel is more than 1,700 feet long and winds its way beneath the ground. 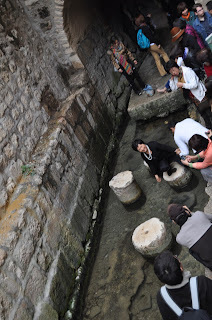 When my family and I went to Jerusalem, we got to hike through the tunnel, and came out at the excavated ruins of the Siloam Pool. Water still flows through the tunnel today. In Jesus time, the pool was located in the Lower City, or the poor quarter of Jerusalem. It was within sight of the Temple Mount. The flowing water from the fresh spring made it suitable for ritual baths, as well as drinking. It is believed that many poor and sick folk came to Siloam to bathe, and that it also may have been used as a Roman-style swimming pool. During the Feast of Tabernacles, a golden pitcher of water would be drawn from Siloam and carried to the Temple Mount. The types that we discovered here are amazing. We have The Messiah's Pool, which is fed by the Virgin Spring and is a source of life, cleansing and healing for the poor and sickly. Perhaps this is why Christ sent the blind man to wash here. Maybe by so doing, the blind man recognized who Jesus was and was able to fall on his knees and proclaim, "Lord, I believe!" This is one of the reasons that I chose this beautiful and significant pool as the site of Malon's baptism in The Master's Calling, which just released TODAY! To celebrate the launch of the last book in the Days of Messiah series, I'm giving away a Kindle Copy to one commenter! Leave your name and email address to get your name in the party hat. I am so happy that discoveries are still being made that further prove the scripture. I know that there are those who will always look for coincidences and ways to refute the truth, but the seeds can't help but be planted. Thank you, Amber for sharing this discovery with us since I am not one to stay on top of them. Thanks for stopping by! I'm so glad you enjoyed the post. Best wishes in the giveaway! I also enjoyed learning about The Pool of Siloam and the proof that it existed. As a long-time believer, I fully trust that God's Word is true but this discovery should satisfy those who tend to doubt. Best wishes with The Master's Calling. I agree, Connie. I believe that the findings are validated by the Bible, not the other way around. Thank you, and best wishes in the giveaway! Thanks so much for sharing the historical detail! It is so good to know how things came about. I would love to win the giveaway. Very interesting historical details. Thank you. Am looking forward to the read.